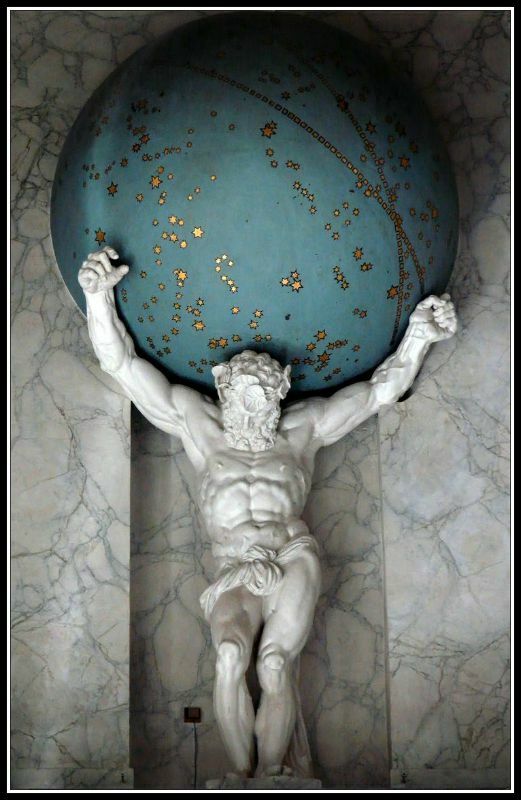 “Atlas holding up a celestial map”. Sculpture by Artus Quellinus. (17th century). Royal Palace in Amsterdam. Atlas (which means ‘very enduring’), was one of the Titans. He was son of Iapetus (a Titan, son of Uranus and Gaia), and the Oceanid Clymene. 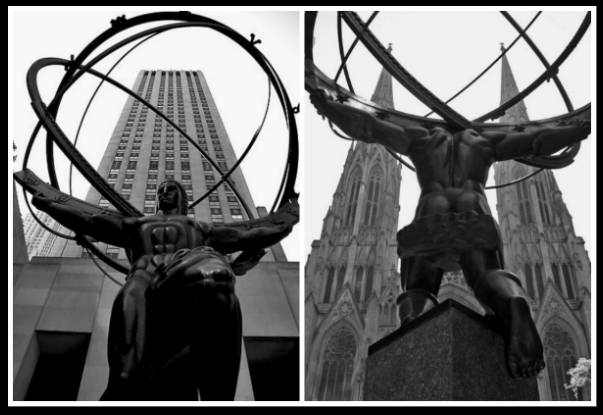 Atlas´ brothers were Prometheus (meaning ‘forethought’, the Titan who gave the human race the gift of fire and the skill of metalwork), Epimetheus (meaning ‘afterthought’. He was Pandora´s husband) and Menoetius (meaning “doomed might”). Atlas was married to his sister, Phoebe (Titan and Goddess of Prophecy). He had numerous children, including the Pleiades (the stars that announced good spring weather), the Hesperides (the maidens who guarded a tree bearing golden apples), the Hyades, (the stars that announced the rainy season), Hyas (Brother of the Hyades, and spirit of seasonal rains), the nymph Calypso, Dione (Goddess of the Oak and the personification of a more ancient Mother Goddess, and presumably, Aphrodite´s mother) and Maera. “Clymene”, by John William Godward. (19th century). Clymene was Atlas´mother. “Prometheus” by Gustave Moreau. (1868). Prometheus was Atlas´brother. “Epimetheus Receiving Pandora”, by Henry Howard (1834). Epimetheus was Atlas´brother. “The Pleiades” by Elihu Vedder (1885). The Pleiades were daughters of Atlas. “Garden Of The Hesperides” by Edward Burne-Jones, (19th c). The Hesperides were the daughters of Atlas. Detail from “Calypso receiving Telemachus and Mentor in the Grotto” by William Hamilton. (18th century). Calypso was daughter of Atlas. 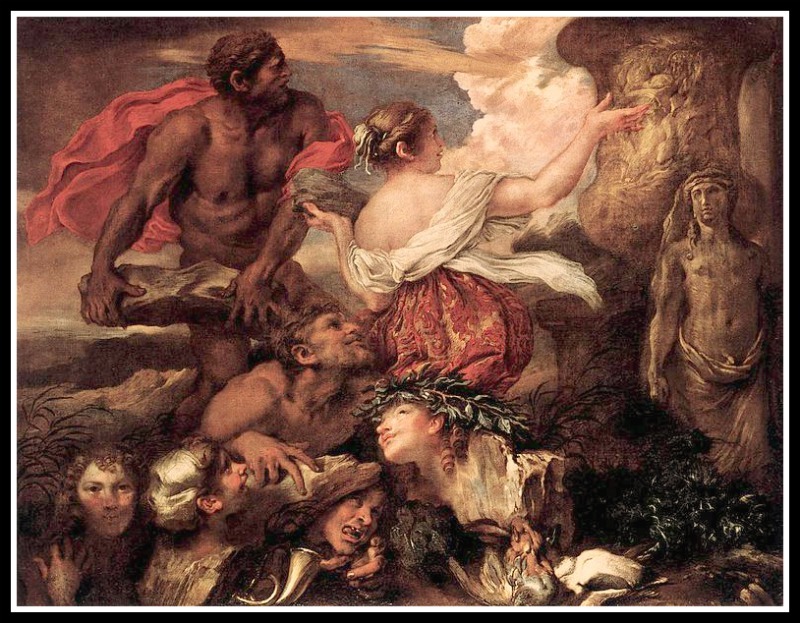 During the Titanomachy, the War between the Titans and the Olympian gods for control of the heavens, Atlas and his brother Menoetius sided with the Titans, while Prometheus and Epimetheus helped the Olympian gods. Atlas was the leader in the batttle; however, being on the losing side, Zeus condemned him to eternally stand on the western side of Gaia (the earth) holding Uranus (the sky) on his shoulders. Homer describes Atlas in his “Odyssey” as ‘deadly-minded’ and as holding the pillars which hold the heavens and earth apart. Hesiod in his “Theogony” also describes Atlas as holding up the heavens and locates him in the land of the Hesperides (female deities famed for their singing), which was far to the west, at the edge of the world. Later tradition, including Herodotus, associates the god with the Atlas Mountains where the Titan was transformed from a shepherd into a huge rock mountain by Perseus (who had behead Medusa), using the head of the Gorgon Medusa with her deadly stare. (Note: the Gorgon Medusa was one of three ugly monsters who had snakes for hair, staring eyes, and huge wings). On the Left: “Medusa”, by Carvaggio (1595). On the Right: Statue of Perseus, holding Medusa´s head. Piazza della Signoria, Florence. Italy. Both sides of The Titan. NYC, St. Patrick’s Cathedral/Rockefeller Center. Atlas was considered a source of great wisdom and founder of astronomy, and, according to Plato, in his dialogue “Critias”, he was the original king of Atlantis. Atlas had been required to fetch the golden apples from the fabled gardens of the Hesperides which were sacred to Zeus´wife, Hera, and guarded by the fearsome hundred-headed dragon Ladon. He was also requested to take the world onto his shoulders for a while, with the help of Athena, the Goddess of Wisdom. 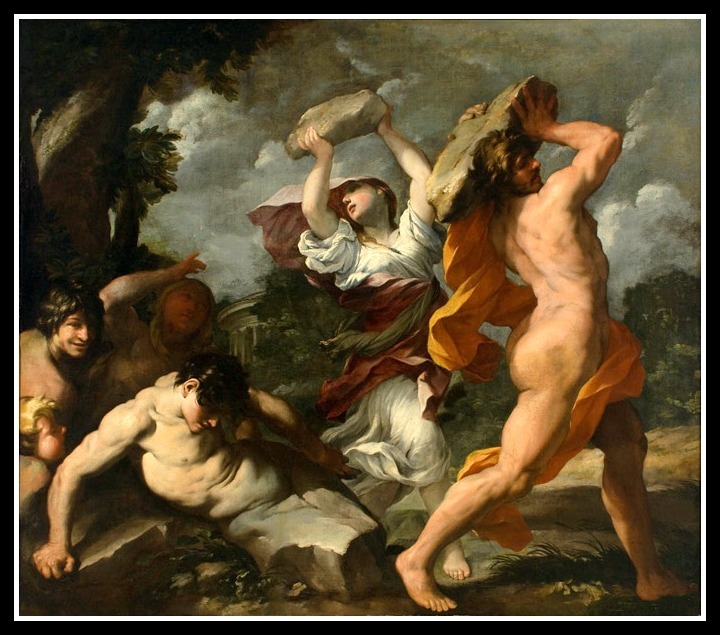 But, Hercules tricked Atlas into taking the load back by asking Atlas to hold it while he shifted the load. Hercules then took the apples and Atlas again shouldered the weight of the heavens. Because the place where Atlas stood to perform his task was the westernmost end of the world known to the ancient Greeks, the ocean near him was called the Atlantic, meaning the “Sea of Atlas” in his honor. Atlas’ best-known cultural association is in cartography / maps. The first publisher to associate the Titan Atlas with a group of maps was Antonio Lafreri, on an engraved title-page in 1572. However, he did not use the word “atlas” in the title of his work. 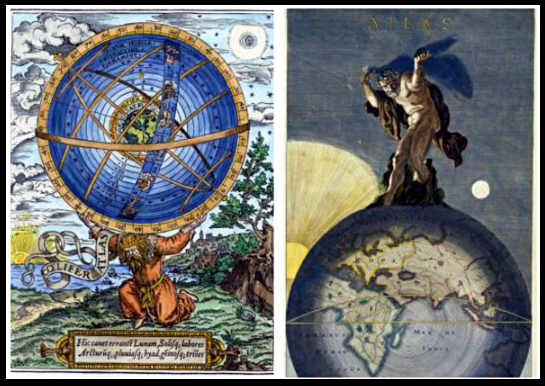 The mapmaker Gerardus Mercator was the first to put a picture of Atlas holding up the world – not the heavens – on the title page of his book. On the Left: Atlas bears the world and the cosmos on his shoulders – from a 16th century English woodcut. On The Right: Atlas holding up the world on his back. Drawing by Danckerts, Justus. “Atlas turned to stone” (The Perseus´Series), by Edward Burne Jones (1878). relief from worries of the past. 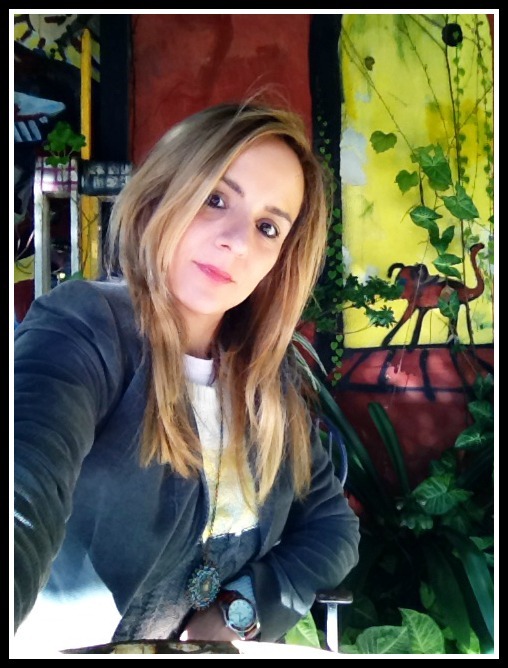 About Eva Xanthopoulos: She is a Greco-American Artist and Mystic Poet. 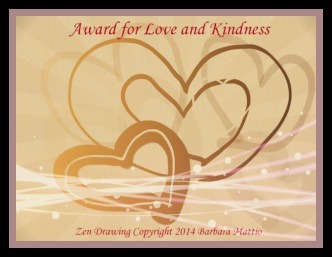 She is also a Supporter of various causes and Promoter of artists worldwide. 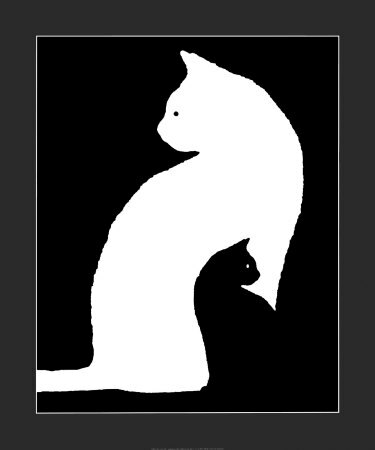 Check out her Poetry blog!. Also make sure to follow Eva on Twitter and Facebook. Eva Xanthopoulos AKA Eva Poetex. Deucalion’s parents were Prometheus, the rebel Titan, and Clymene the Oceanid. Pyrrha’s parents were Epimetheus (Prometheus’ brother) and Pandora. Deucalion and Pyrrha had been chosen as the gods’ favorite humans, as they were considered the purest ones. The story of Deucalion and Pyrrha began during the Bronze Age, when humans were violent and loved to kill. Because of that reason, Zeus planned to destroy them all. Seeing that Deucalion and Phyrra were teh ebst ones, he decide to spare them, so he sent Prometheus to warn them. Warned by his father, Prometheus, Deucalion built an ark to survive the coming Bronze Age ending flood that Zeus was sending. Like the version from the Old Testament, in the Greek version, the flood is a mean to punish mankind. 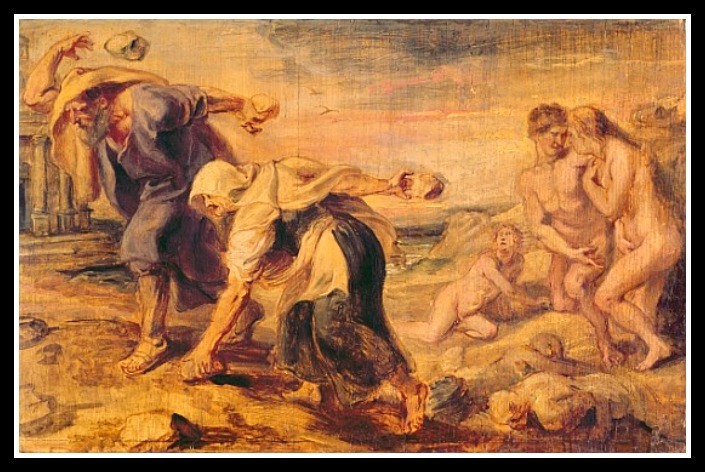 Deucalion and his cousin-wife, Pyrrha survived for nine days of flooding before landing at Mt. Parnassus. 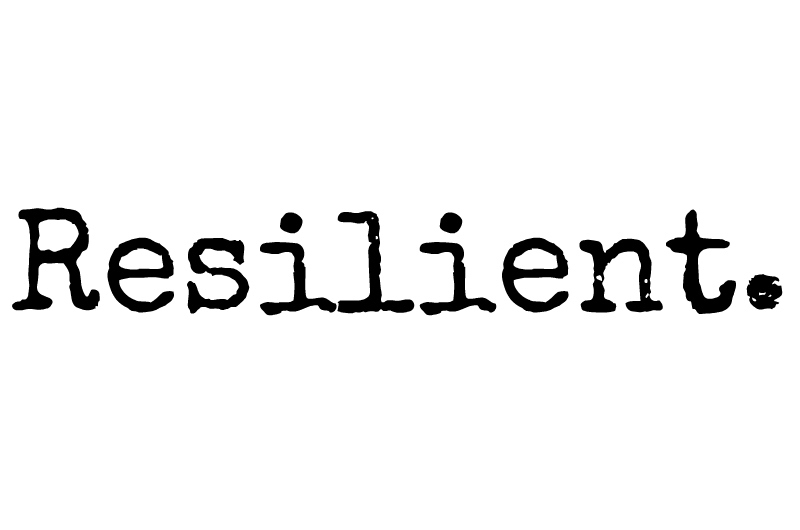 Only Deucalion and Pyrrha survived for nine days of flooding. They mounted a chest and sailed to the dry peaks of Mount Parnassos. Other Greek regions also claimed survivors. 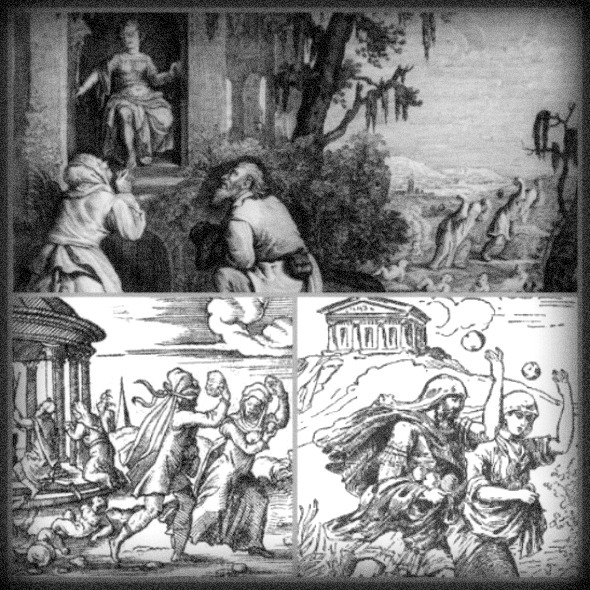 King Dardanos was said to have sought refuge on Mount Ida in the Troad, Kerambos was carried to the heights of Mount Othrys by the Nymphs, Megaros fled to Mount Gerana, Arkas and Nyktimos were preserved on Mount Kyllene in Arkadia, and the tribe of Parnassos fled to the heights above Delphoi. Io and her son Epaphos, who lived in Egypt, were also preserved. After the flood, Deucalion and Pyrrha found that they were all alone in the world and therefore, wanted company. In answer to this need, the titan and goddess of prophecy Themis cryptically told them to throw the bones of their mother behind them. They interpreted this as meaning “throw stones over their shoulders onto Mother Earth” and did so. The stones Deucalion threw became men and those Pyrrha threw became women. Deucalion and Pyrrha settled in Thessaly where they produced offspring the old-fashioned way. The age that Deucalion and Pyrrha created was called the heroic age. This age included Demi-gods and heroes. Their two sons were Hellen and Amphictyon. Hellen sired Aeolus (founder of the Aeolians), Dorus (founder of the Dorians), and Xuthus. 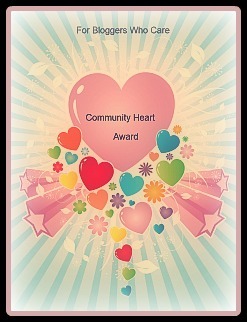 ►Here are the Awards Rules: 1) The nominee shall display the Wonderful Team Member Readership Award logo on her/his blog. 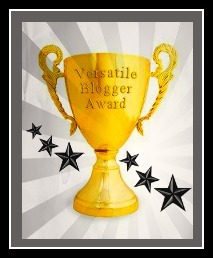 2) The nominee shall nominate ten (10) bloggers she/he admires, by linking to their blogs and informing them about it.